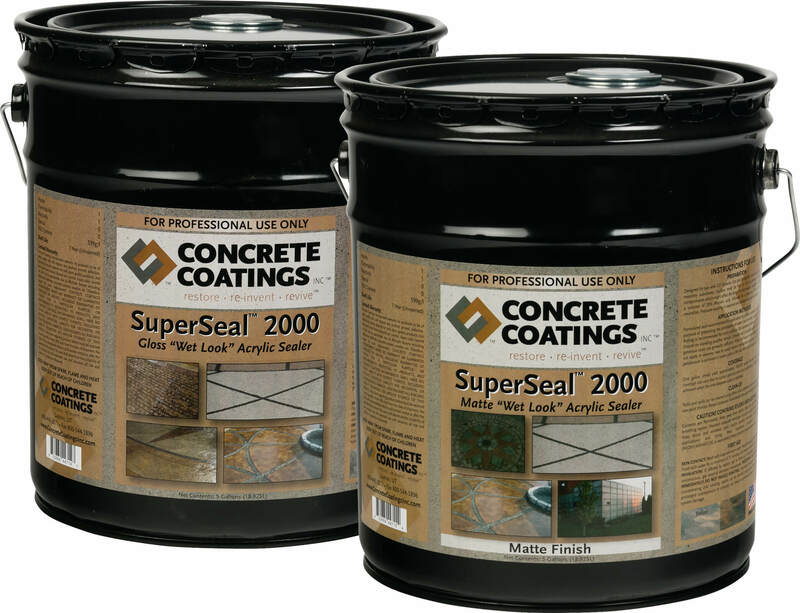 Concrete Coatings, Inc. SuperSeal™ 2000 is an aromatic acrylic sealer that can be applied to almost any surface: concrete, tile, cementitious overlays and much more. 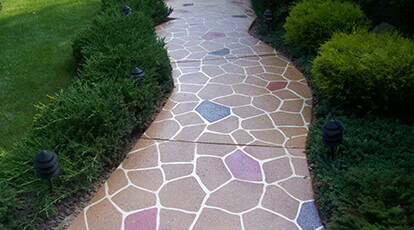 Use SuperSeal™ 2000 for a gloss or matte finish as well as for its UV and stain protection. For application tips visit the Frequently Asked Questions page or Contact Us. Please check local regulations for VOC requirements. Packaging: 1-gallon, 5-gallon pail and 55-gallon drum. Coverage: 150-200 square feet per gallon. Cause: Moisture Entrapment. 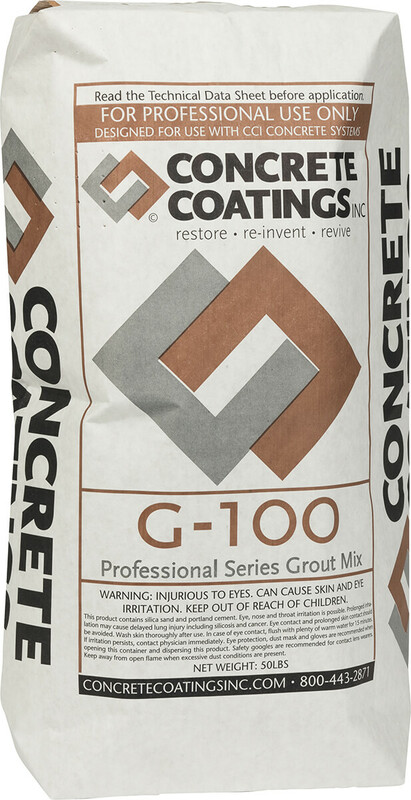 Moisture entrapment occurs when moisture is left in, or is evaporating out of concrete substrate or if moisture accumulates on a sealer application prior to completing full cure. Solution: Whiting is easily resolved with an application of an acceptable solvent (check your local VOC Regulations to help maintain proper VOC levels). Scrub the affected sealer application vigorously to re-emulsify the sealer and allow for proper ventilation. It may be necessary to repeat this step to fully remove any remaining moisture. Upon curing the whiting should disappear. Cause: Excessive substrate or external temperatures; or pulling sealer too tight Solution: Cob webbing is most common in the hot summer months due to extremes in temperature. It is best to apply sealer in the cool of the day before the concrete has heated. 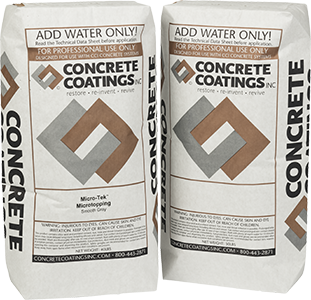 If cob webbing does occur, apply an additional or heavier coat of sealer and the issue will clear up immediately. Reason: Heat. Solvent entrapment usually occurs when excessive heat causes the sealer application to “skin” over the top and the remaining solvent to flash off underneath, causing bubbles. 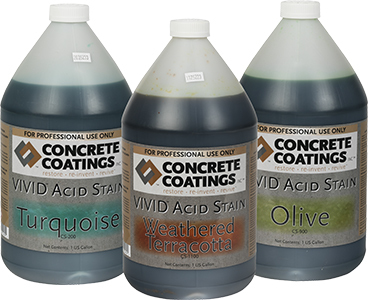 Solution: Applying sealer in the cool of the morning during the hot summer months will prevent most solvent entrapment. However, if this occurs, apply an additional coat of sealer. 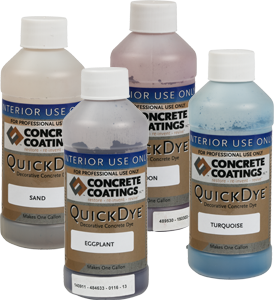 This causes the sealer to re-emulsify and allow the solvent to escape.